Gone to See North America Road Trip. Day 17: Denali National Park, Alaska. (Day 3: Nikonians ANPAT 9). 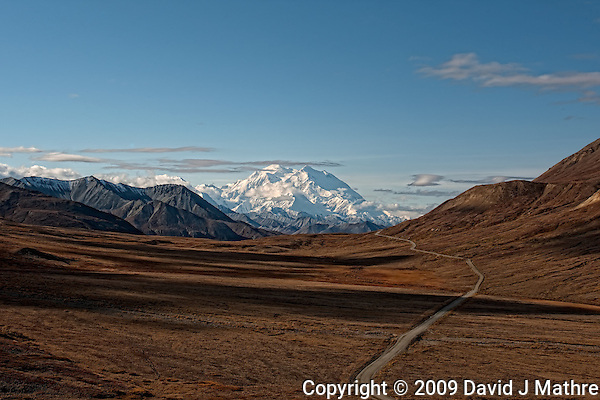 View of Mount Denali on a clear day from the Stony Hill Overlook (mile 62). This is on the only road into Denali National Park. Private vehicles are restricted to the first 15 miles into the park. To go beyond that point you either need to walk or take the (hop-on, hop-off) buses provided by the National Park Service.